Malcom Moon graduated with honors from Trinity College as a double major in Theatre/Dance and Music. As a Questbridge National Scholar, he was heavily involved in various extracurricular activities including musical and play productions and the Trinity College Accidentals a capella group. Notable performances include Louis Ironson in Angels in America, Jack in Into the Woods, and Jim Conley in Parade. During his sophomore year, he studied away at the Trinity/La Mama Program where he was immersed into the downtown New York performance scene under the tutelage of various artists such as Pablo Vela and Grace Kiley. 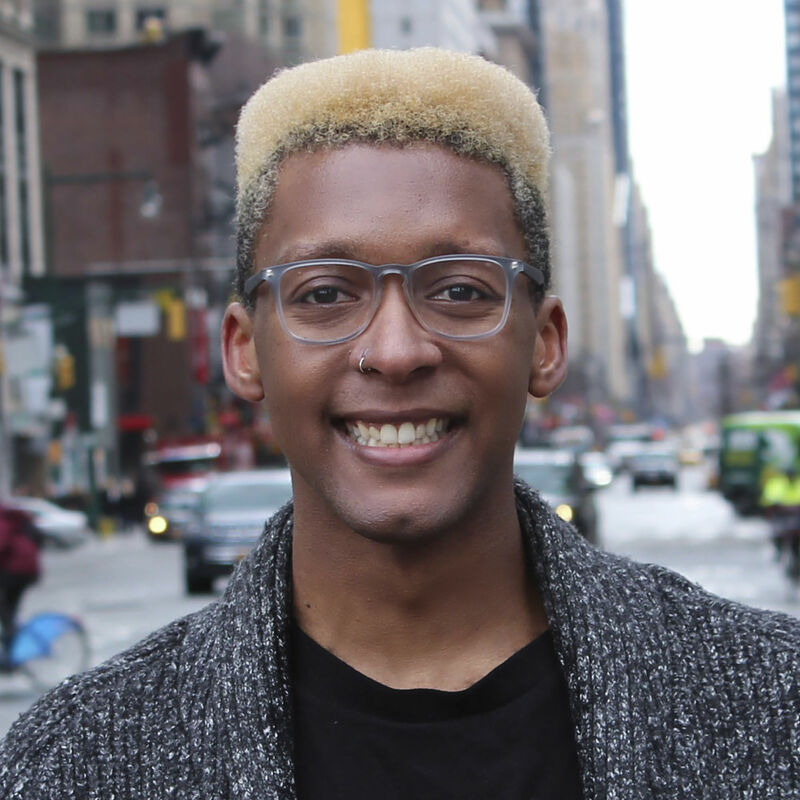 He also received The Frank W. Whitlock Prize in Drama for his senior thesis, Spectacles, an original play about race and sexuality representation in theatre. His music thesis, Jumping Trains—consisting of ten original songs, choreography, and visual supplements—was a major feat as well. Since then, Malcom has worked in the non-profit theatre industry with previous work at The New Group, The MoveShop, and The York Theatre Company. He is very excited to learn and grow in the marketing department at DCINY. He thoroughly enjoys working with people and using social media platforms as a means of communicating with a diverse audience. A passionate scholar of all things performing and visual arts, he relishes in collaborating with other creative minds and establishing a healthy, artistic environment. In his spare time, Malcom is a singer-songwriter specializing in R&B/pop vocal performance. He hopes to continue writing and releasing new music.